Have you ever wanted to sleep on the sea bed? Well, we can't promise the actual ocean and you won't need to hold your breath - but you and your friends can have a sleepover underneath our 360 ocean tunnel! Get your sleeping bags together and look up to see tropical fish, Molokai our giant sea turtle and of course, our sharks!  Can I book a birthday party at SEA LIFE Birmingham?